Not too long ago I made an out-of-state move at the end of my third trimester. I made all the arrangements months ahead of time, anticipating the need for just as much help with the move as possible. I’d searched for reader recommendations and wound up hiring Maybaum Movers to pack our condo and load the truck for our move. Not wanting to leave anything to chance, I booked more than two months in advance. When I initially called Maybaum to inquire about availability, the staffer was very kind, promising “white glove service.” She said that she would tell the packers not to let me lift a finger. She asked me to email the owner to confirm, which I did. Two days before the move I hadn’t heard anything from Maybaum. When I emailed to confirm, the owner seemed taken by surprise but grateful that I reminded him. He asked me if I would need boxes and packing materials and I said I had some, but not enough for the whole move. The two men who showed up the next day to move did not bring a single box, roll of tape, or sheet of packing material. One spent the first fifteen minutes in the bathroom, while the other swept my kitchen into boxes. I heard what sounded like whole drawers turned upside down into a box. I told them if they could not be careful with the items, they should not pack them at all. As the noise continued, I became more and more alarmed. In the utility closet, one of the packers was taking every available bag — from reusable grocery bag to leather tote — and stuffing it with whatever was in front of him (batteries, bleach, light bulbs). He acted like it was the best he could do since I didn’t supply enough boxes. At the end of my rope, I asked them to leave. I had no other options, but did not trust them with my things. They claimed a two hour minimum, then added an insurance fee, and a credit card fee. After I objected, they consulted with the owner to drop the insurance charge while I texted with him about the other fee. He would not answer the phone. Twenty-four hours left before my move, I was positively frantic. As expected, there were no professional packers available on such short notice. My partner and I worked through the day and into the night, first scrounging for boxes at liquor and grocery stores. As I moved the already packed boxes, they felt strange. Maybaum had packed large three foot boxes only partway as they became too heavy and unstable. I had to unpack most of what they had done in their short time at my house and repack it to prevent the considerable damage that would have occurred if we had tried to move them. You can see from the pictures what chaos the boxes were in. Liquids were unsecured, glass tossed in with other items, stuff on top of stuff on top of stuff. 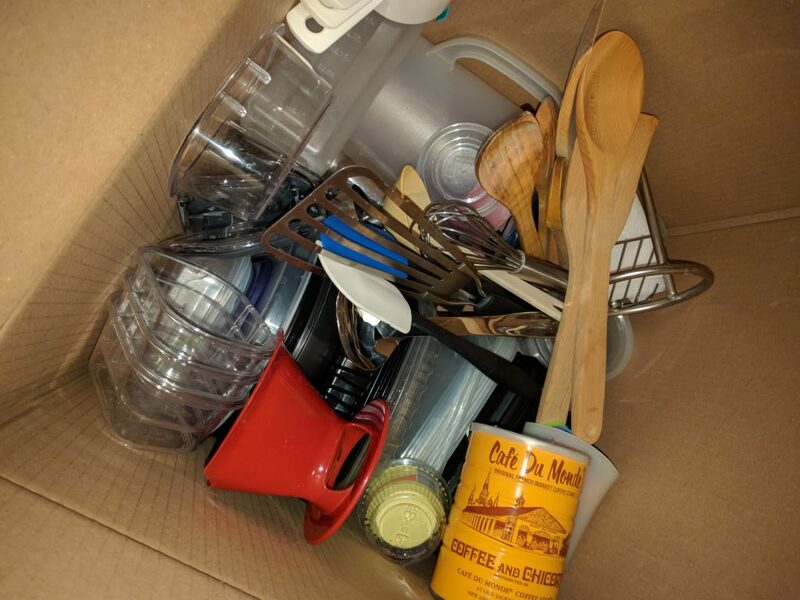 (You might notice an upside down glass jar of honey in one of the photos) After the move, we found had food coloring that had leaked, multiple old board games in their original boxes that had been duct taped together, and other carelessness. We also had several plates that had been left behind, very likely moved to an area that I asked them (and marked) not to pack. As you might expect, Maybaum has not been responsive. I finally got in touch with the original staff — the one who promised white glove service — who said that she remembered me and was very sorry. She said there was nothing she could do, but that I should contact the owner, who would be very concerned. Not surprisingly, he did not respond. Several months later, he offered to refund the amount I’d paid, but has never followed through.